Vodafone is the third major telco in Australia and has shaken up the industry a bit recently with the way it tackles phone plans, including all-new plans for the iPhone XS and XR. Vodafone has separated the phone from the plan, and this means that the only thing you are locked into is the phone repayment, meaning you can change plans month to month. Customers then have the choice of a 36, 24 or 12 month contract, with the former easing the burden of expensive phone plans over three years instead of two. Read on to find out what you can get in an iPhone plan with Vodafone. Vodafone has separated its phone payment plans and mobile service, so you can change between the below plans as often as you like without affecting your device payments. All of these plans are available with any Vodafone-offered iPhone, although bonus data amounts may vary across devices. Prices listed don’t include your handset payments, but more information on the total cost of your phone and plan is available below the table. These are sponsored products. 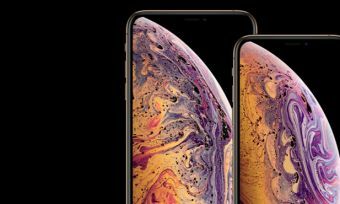 The flagship iPhone XS is available on Vodafone’s 12, 24, and 36-month payment plans, which you can bundle with your choice of postpaid Vodafone Red or Vodafone Red Plus plan. The telco’s iPhone XS prices start at $80.25 monthly for your plan and phone, but you will need to spread your payments out over 36 months; the longer your payment period, the less you’ll pay each month (although the total cost of your phone remains the same). The larger iPhone XS Max is, unsurprisingly, more expensive than its smaller counterpart, with Vodafone prices beginning at $84.97 monthly on a 36-month payment plan (including your mobile costs). If you’d like to pay out your phone over 24 months, you’ll pay from $109.95 each month for the 64GB model, and on a 12-month plan, from $184.91 per month. Vodafone’s plan do come with some great extras, including frequent bonus data, Qantas frequent flyer points, international calls, and more. If you’re looking for a newly-released iPhone, but want something a little cheaper than the XS series, Vodafone is offering the iPhone XR from $69.13 monthly on a 36-month payment plan. This includes Vodafone’s entry-level Red mobile plan, which is currently available with 6GB of monthly data (2GB standard, plus 4GB bonus data). The iPhone X is the latest king of the smartphones – at least in hype, popularity and cost anyway. It costs around $1,579 outright, but you can bundle with Vodafone from just under $80 per month. This includes the plan and phone repayment, spread out over 36 months. Vodafone has one of the biggest ranges of iPhone X plans out there, with plenty of different contract options to consider. The telco’s Red and Red Plus plans also come with plenty of data, plus extras such as international calls, Qantas Frequent Flyer points, and – on the Red Plus options – unlimited 1.5Mbps data. Prices for the 64GB iPhone 8 Plus start at under $70 a month, while only being a couple dollars more per month for the 256GB model over three years. Users can stick with a traditional data tier on the Vodafone’s Red plans, or sign up for unlimited 1.5Mbps data on the Red Plus options. Vodafone has really ramped up the competition in the iPhone 8 space with some of the cheapest plans going around, but be aware to pay the lowest monthly price you will probably have to stick around for three years. A positive, however, is the fact you can change your plan as your needs change. 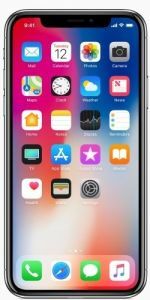 If you can’t quite stomach the iPhone X, or perhaps you can’t be bothered with such a large screen as featured on the 8 Plus, Vodafone has some iPhone 8 plans that are relatively cheap if bundled over three years. Prices start at under $70, making them some of the most affordable iPhone 8 plans on the market on a 36-month contract. Extra data bonuses, or Qantas FF points and international credit come as extra goodies on most plans. Once again, customers will have to sign up for three years if they want the absolute cheapest prices on offer. Alternatively, if you can afford the $120+ monthly fee over 12 months, you could be out of your contract sooner, and enjoying your iPhone debt-free. Customers can still get the goodies associated with the newer iPhone plans, such as extra data, Qantas FF points and international credit. Since the release of the X and 8, the 7 series has come down quite a bit in price, but users will still usually need to sign up for three years to see the best deals. Data allowances from 2GB up to 80GB (plus unlimited slow data). The iPhone of 2016 is still a pretty exciting phone, and the cheapest Vodafone plans are under $60 per month. As with nearly every plan, international roaming is available from $5 extra per day, making Vodafone a viable telco for the globetrotter. You can also add-on data-free music streaming, video streaming, social and more, from $5 extra per month. Data allowances from 2GB to 100GB (plus unlimited slow data). Even though the 6S Plus is two generations old now, it still commands a loyal following as it is the last model to feature a 3.5mm headphone jack. Beyond that, prices have come down a lot since its initial release, and users can bundle a plan for under $55 a month. As usual expect all the usual goodies from Vodafone – extra data, Qantas FF points and international credit. A perfect choice for budget-conscious buyers, the iPhone 6 can be found reasonably cheap outright, but customers may still find benefit in bundling. Despite the cheaper price, users can still get bonuses like extra data, Qantas FF points and international credit as well as $5/day roaming on Red and Red Plus plans. Should I get a Vodafone iPhone plan? The best prices are usually found on 36 month contracts – three years instead of the usual two. Apart from bonus data and Qantas FF points, Vodafone can be a bit light on bonuses like data-free music streaming, streaming partnerships and so on. Vodafone has some of the cheapest iPhone plans out there with the proviso that you sign up for three years. 24 month plans are on par, and for those who don’t like contracts, paying more per month over 12 months may work out to be more ideal. In any case, there are many iPhone plans from Vodafone out there, it’s all a matter of choosing the one that’s right for you.